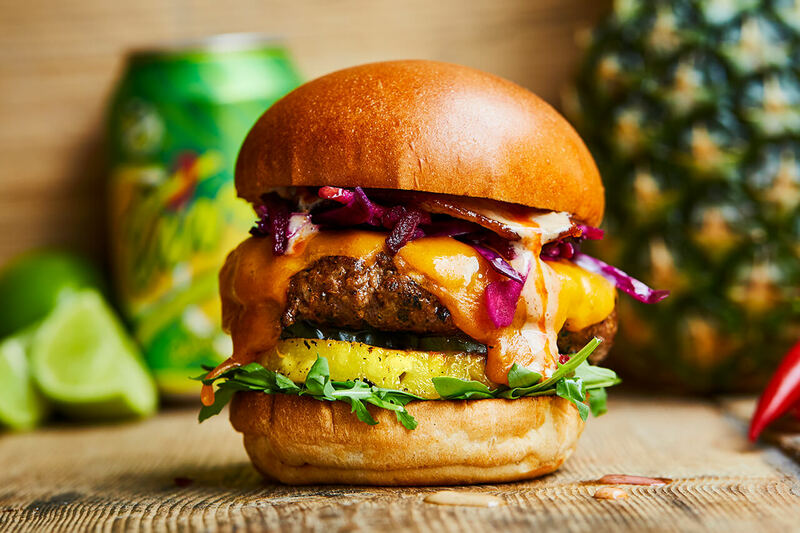 A burger with jerk-rubbed Honest beef, bacon, Red Leicester, grilled pineapple, tamarind mayo, Super Jerkily pepper sauce, slaw, rocket and pickles. 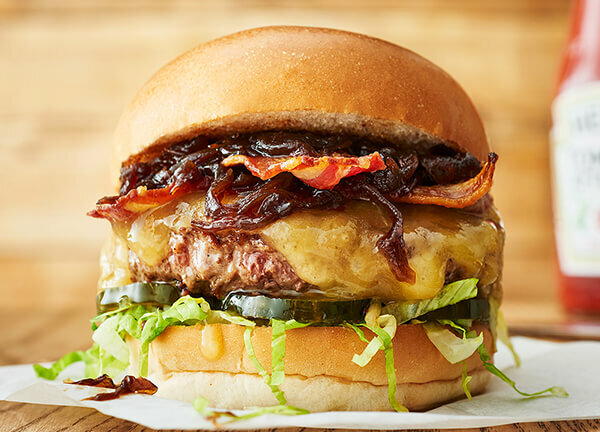 This burger is only available at our restaurant in Brixton. 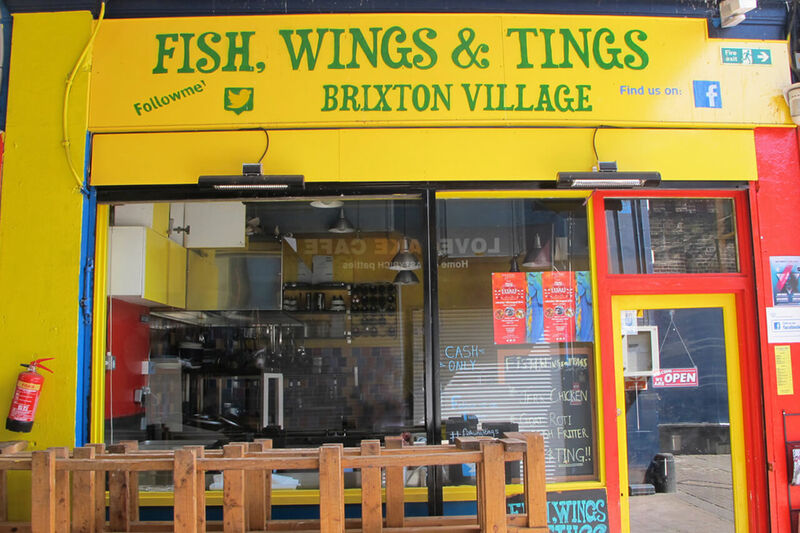 Brian, the man behind Fish, Wings & Tings is a local hero and a long-standing Brixton Village resident. 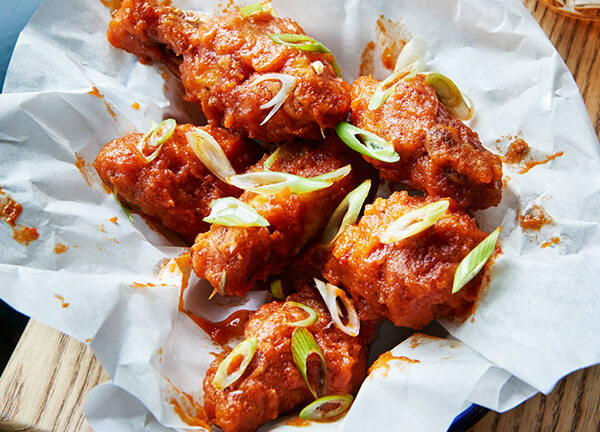 If you haven't tried his Reggae Wings with pineapple and mango chutney, you're missing out big time. 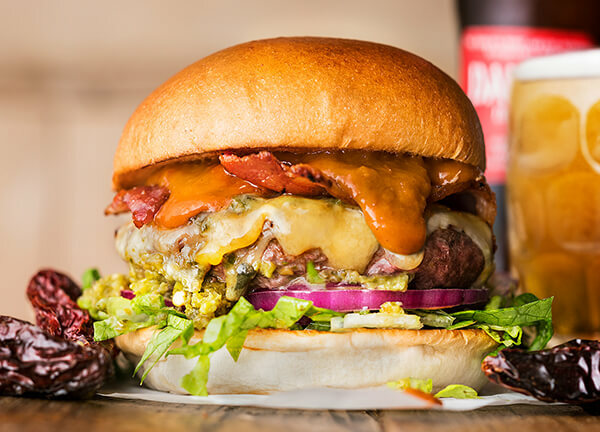 Our local special for Brixton incudes two of Brian's creations. We blend his tangy tamarind sauce with cooling mayo and top with a couple of splashes of spicy Super Jerkily pepper sauce.